Detailed Estimate: How Much Does It Cost to Create App Like Instagram? Disclosed: How Much Does It Cost to Make an App Like Instagram in 2018? The photo sharing phenomenon is becoming more and more popular over the years and, therefore, the demand for engaging social media platforms is on the rise. Its no surprise Instagram has conquered the market of photo sharing platforms and the love of users. Whats more, thanks to Facebook, Instagram also became a powerful marketing tool for individual and business use. 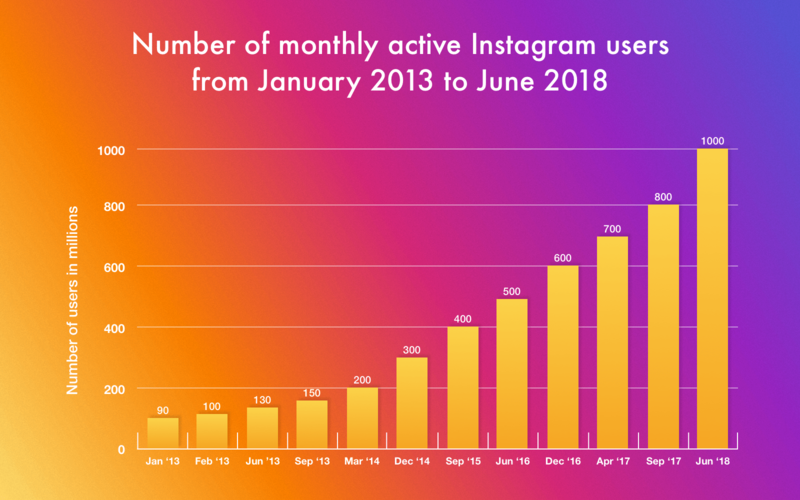 Such a stunning success and ever-growing demand for interesting products have made many entrepreneurs think of how to make Instagram app of their own. If youre one of them then youre at the right place. To calculate the cost of the project, you need to be clear as for functions and features it will have. Basing on the fact that the future applications star is going to be an Instagram-like, let's look at what the app building is actually about and what its main features are. Successful digital products never stop evolving. Except for multiple new features which have appeared over the years, Instagram has undergone a variety of design changes which were both minor and major. It’s needless to say how important the user experience is for driving new users and retaining the existing ones. Nowadays, good-looking UI/UX design is just one more component that helps to stay competitive by delivering a good experience to app users. If you look at apps like Instagram, Facebook or Snapchat, you will notice that their technically complicated features are wrapped into an easy-to-use sheath due to their harmony with the design. So, all the features your app is packed with should also be wrapped into an aesthetic design to enhance the user experience. Correspondingly, if you want to create app like Instagram you have to be ready to invest not only in the technical side of your product but design as well. Stories Highlights — a section where users can import their ongoing and past stories so that others could see them on a constant basis. IGTV — a YouTube rival with horizontal videos. Shoppable posts — business accounts are now able to mark their goods on photos. Explore page — it was rethought and redesigned. This is far from the full list of features arrived for this period of time. As you see, constant product development is a must if you want to create an app like Instagram that's capable of competing with other big players. Even if you’re a non-technical founder, the knowledge of IT basics and technologies your app is running on will be a huge plus for you. In this section, we define the technology stack that can be used for Instagram-like app development. Note: Consult with professionals concerning tech stack for your project. The final set of technologies to build your own Instagram app should be selected based on its technical needs and peculiarities. It's time to dig deeper into the topic of this article and understand how to build an app like Instagram. In most cases, it's more reasonable to start off of an MVP (basic app features) and gradually add new functionality. It may take hundreds of thousands of dollars of your budget and months (if not years) of development to build Instagram clone application empowered with all features this platform has nowadays. Things are getting simpler with MVP. You spend much less money to build Instagram-like app's skeleton and launch it. Then you just track user reactions, analyze them, and make informed decisions concerning the further development steps with ROI in mind. Taking these into account, we focus on basic features to give you the understanding of how to make a social media app like Instagram. Note: The period of time required to implement a part of the functionality is measured in man-hours. The estimates we list below are based on the following development formula: user interface engineering + business logic (these two form a mobile development section) and back-end development. Each table contains the estimate for one mobile platform. If you want to get the estimate covering both platforms (iOS + Android) -- multiply those numbers by two. Create a new account using a phone number or email. Sign in with existing social media account (Facebook). In addition, there is an option allowing users to reset the lost password via email, phone or their account in the social media. Give your users some room for adding, customizing, and changing their profile information (e.g. bio, profile picture, etc.) Customization options are always a good idea. 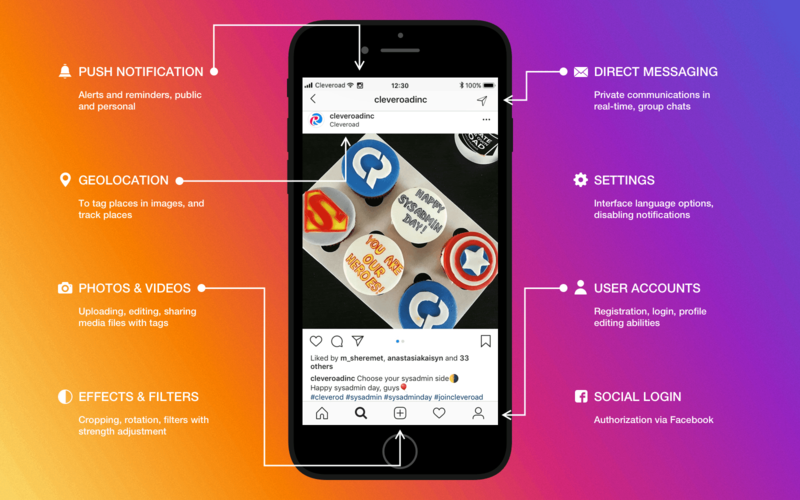 A real-time messaging is the answer to question how to build app like Instagram and the proven way to give users what they want. Don't forget that push notifications are the main component for this as they notify about all incoming messages. 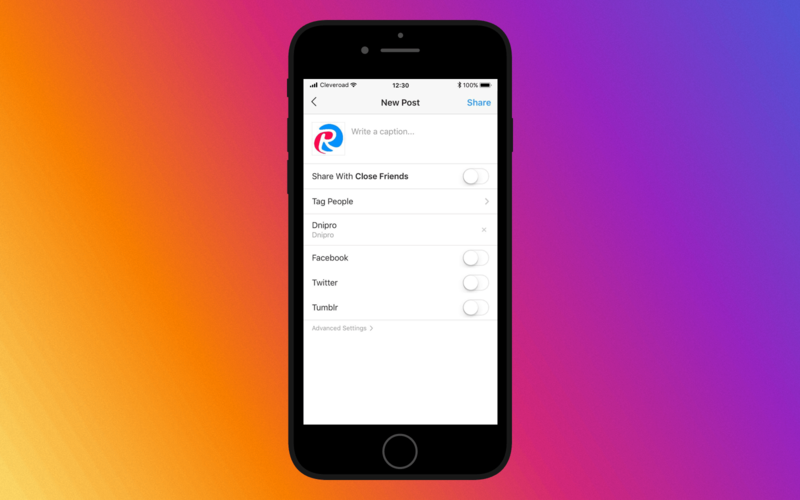 If you build an app like Instagram, it's important to think through setting options to enhance the overall user experience. Give users an opportunity to adjust the app's features: enable and disable push notifications, use different modes (e.g. private posts on Instagram), and so on. Set language 20 hours Depends on a language: e.g. Arabic and German take more time. How to create Instagram app clone? Enable users to easily share their photos and videos to the feed and other places. Also, ensure that sharing facilities are well-designed so they could successfully rival with other photo sharing apps. Whether you want to build Instagram app clone or custom photo sharing application, you have to work on the photo editing capabilities in order to attract users and withstand competition. For example, if your goal is to build Instagram-like app, you should add filters, rotation, straightening, and other editing capabilities. You should carefully examine the publishing mechanics of the original app to understand how to develop an app like Instagram. For example, Instagram doesn't restrict the spreading of user content to other social networks. Users can easily link their Instagram profile with other social media accounts like Facebook, Twitter, etc. The linking enables them to choose whether to repost their publication to other social networks or post it on Instagram only. Geolocation is a must-have feature in case you want to build app like Instagram. Users should have an option for indicating where one or another photo was taken. Besides, other users should be able to see that place not only tagged on the photo but on a world map too. You should also take care of search feature to make an app like Instagram. It should be convenient and useful so that users could find anything they need. In order to understand how to make a social media app like Instagram, you should be aware of all the additional expenses you may face throughout the development. We would like to remind you that the aforementioned estimates are calculated for one platform. They also don't include preparational development steps like project setup and database architecture that typically take up to 150 hours. The cloud computing expenses also should be calculated separately, but you can check the Amazon AWS pricing here. Other expenses we haven't mentioned previously are UI/UX app design and admin panel development. They are both obligatory for every app. Finally, some software development companies charge for testing services additionally. So you should clarify this aspect beforehand with your software development partner or hire a qualified QA engineer to your in-house Instagram app development team. In Cleveroad, Quality Assurance services are included in the project cost (i.e. they are free for you). Now you know how to build Instagram app what means it's high time to calculate its MVP development cost. Remember, this estimate includes only basic features which, though, are a good start for any photo sharing app. If to add up all the aforementioned features, you will get around 1,180 hours of development for each platform. In order to transfer man-hours into dollars, you should multiply this figure by an hourly rate of your employees or software development agency rates. Note: Typically, the development time for the Android platform is 5-10% higher compared to iOS due to fragmentation reasons. This way if we take $50 as an hourly rate, which is an average rate of Ukrainian developers, and it by 1,180 hours we'll get $59,000 in total for each application. Talking about North America, you should multiply this figure by $150-200 and the final cost of one application will range between $177,000-236,000+. This price without design services and admin panel development. For your convenience, we've designed a comprehensive infographic covering the development cost of Instagram-like app MVP. Underneath, we've presented a step-by-step mini guidance on how to create an app like Instagram. We hope, these simple steps will help you make a start of the Instagram app development. Step 1. Research the market and learn your competitors. Step 2. Define your target audience and features they might like. Step 3. Consult with a reliable specialist or company. Step 4. Define your budget prior to the development and be ready to attract funding if you exceed it. Step 5. Hire developers or dedicated company to build an MVP for you. Step 6. Make sure your app has something unique to offer its users. Step 7. Test it to avoid major bugs in the final version. Step 8. Maintain and never stop evolving. Instagram gained the worldwide popularity due to its simple interface, good performance, and interesting features. To make an app like Instagram on your own, you should go through a long trial-and-error path, so be ready for overcoming complicated challenges and studying hard. Our company has an extensive expertise in developing photo sharing apps. We can help you build an app like Instagram and launch it. Drop us a line to learn details regarding cooperation with us and get a free custom estimate of your idea. Also, subscribe to our newsletter if you like this article and want to receive more content like this in your email inbox. We send one letter a week with the most relevant content created by our team especially for you.